Midfielder with great ball control, he stands out for his vertical play, good field vision, and great passing ability. 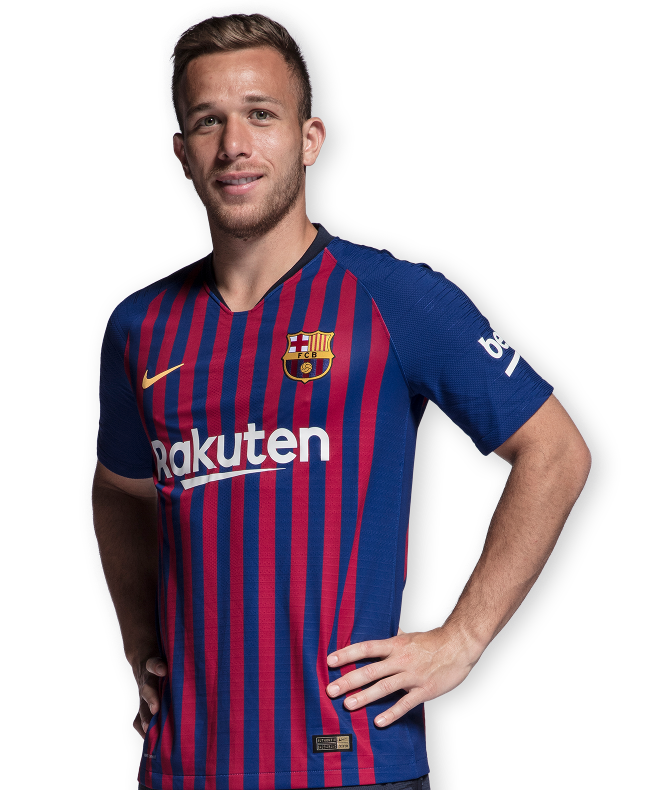 Born on August 12, 1996 in the Brazilian town of Goiania, Arthur Melo is a young midfielder who stands out for his ability to organize play and his teamwork, as well as for his vertical play and passing skills. Arthur started playing soccer in 2008 in the lower categories of the Goiás Esporte Clube, in his hometown in Brazil. After two seasons, in 2010, he joined the ranks of Grêmio, from Porto Alegre, where he continued his development. In 2015, Arthur debuted with the first team under then- Grêmio manager Luiz Felipe Scolari. Since then, the midfielder has been progressing and taking on a leading role, until becoming a key part of the Brazilian club in 2017. That same year, at just 20 years of age, he won the 2017 Copa Libertadores, and was the MVP of the return leg of that year’s final. 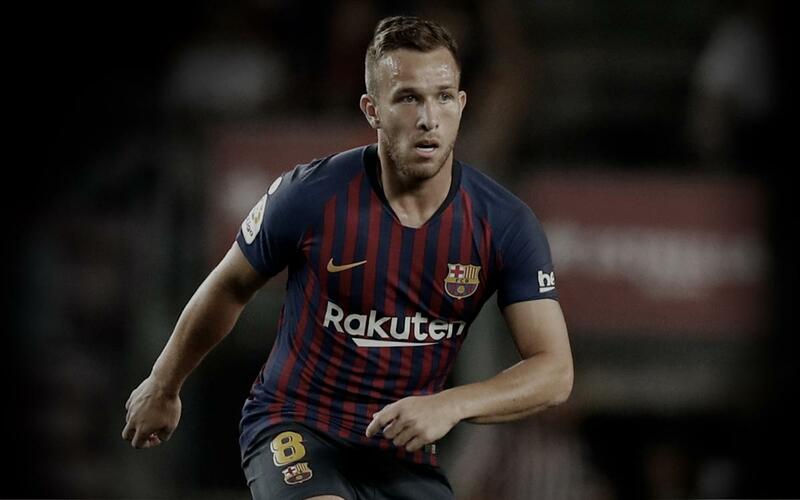 Arthur was presented as an FC Barcelona player on July 12, 2018, with a six-year contract. Arthur is a very creative and skilled player with the ball at his feet. His good vision of the game and the passing control allow him to organize play with great ability. 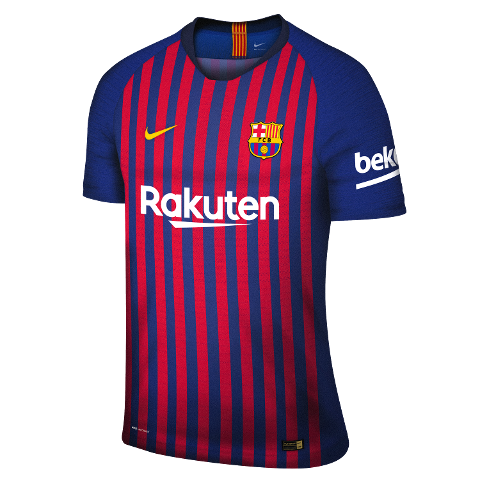 He is an attacking midfielder committed to helping out on defense. Good at changing the pace of play and reliable when dribbling up the field, the Brazilian stands out because of his vertical play and his decisiveness with the final pass. What objects describe the Brazilian midfielder? And can he tell what they are without looking?